Chemists, engineers, scientists, technicians, and managers who recognize the need for improvement of their skill set and fundamental knowledge of radiochemistry. Completion of this three day course will enhance and support nuclear related decision-making as well as provide formal academic principles in radiochemistry. Globally there has been a dramatic decrease of teaching and training opportunities in radiochemistry over the past three decades. As a result there has also been a dramatic increase in closure of institutes world-wide. 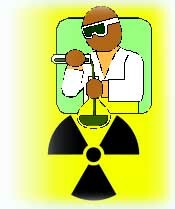 Lack of formal academic training in radiochemistry as the basic discipline for radiopharmaceutical, nuclear medicine, health physics, and nuclear energy technology has had a strong multiplicity effect on various branches of applied and basic research and, hence, on some major parts of society's welfare. Many in both undergraduate and graduate studies have not had a great deal of formal academic training in the fundamentals radiochemistry. There is an urgent need for formal education on both nuclear and radiochemical concepts. In the past, many learning opportunities at nuclear sites have consisted of on the job training as well as safety related training. This training does fulfill its intended purpose, however, it is not a substitute for formal fundamental training as a scientific tool to be deployed by scientist and engineers. The instructors were very knowledgeable and I learned a lot about radiochemistry and was able to brush up on my chemistry. The presenter made the information interesting and easier to understand. I would highly recommend this course. Explanations were clear and allowed for questions... which brings me up to pace. The course was flexible, I came away with a much greater understanding and appreciation for the subject, and my job, which is extremely valuable to me. Overall... a great success!